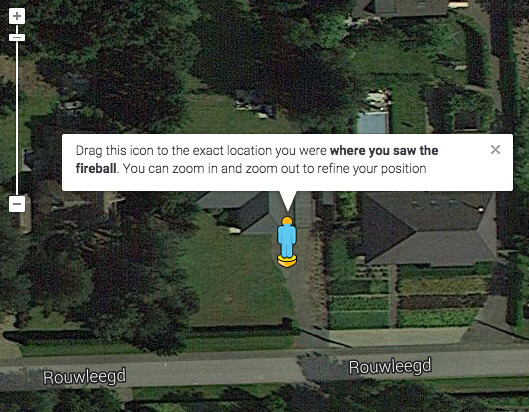 Summary: If you see a fireball, please report it using the IMO fireball report form. If you have ever seen a fireball, which is an unusually bright meteor (or shooting star), then you know that these can be very impressive. But did you also know that reporting your observation can help to further science? Fireballs, and meteors in general, are like messengers from the solar system that conveniently deposit material from all over the solar system in our atmosphere, for us to study. A bright fireball might even produce meteorites, if parts of it survive all the way to the ground. One of the more exciting applications of fireball reports is that they can be used to estimate where the meteorites, if any, might be found. Wouldn’t it be cool if your observation could help with that? Hence, the next time you see a fireball, you should remember to report it. There are several ways to do this, and seasoned meteor observers have been reporting fireballs for a long time. However, the existing forms were sometimes hard to understand by the general public. And, since a fireball is a random event that is always unexpected, it is important that anyone that happens to see it is able to report it. The International Meteor Organization (IMO) has recently published a new online form that is designed to also be understandable by people that are not habitual meteor observers. It is available in many languages, so there is a good chance that you can even fill it out in your native language. The form is at http://fireballs.imo.net/. It is very easy to use, with, for example, complete integration with Google Maps, as illustrated in Figure 1. Figure 1. Google Maps view to select the location of the observation. All observations are added to the reports page, which means that you can immediately check whether other people have also observed the event. Your observation doesn’t simply disappear into a database for the specialists, although it also ends up there, of course. All sightings of a particular fireball are then grouped together on an event page. And while some fireballs might only have been seen by a single person, others may have hundreds of observations, like this recent one over Germany and Switzerland. Figure 2 is a heat map from that page that shows where the observers were located. Figure 2. Sightings of a single fireball that appeared on 2015-03-15. So, whether you see a fireball tomorrow or in ten years, please remember to report it… I wish you good luck with actually seeing one!